As all motorcycle enthusiasts know, maintenance is the key to survival on the wide open road. Bikers fearlessly brave the elements and can be seen out in rain storms, snow storms, and even hail! A well-maintained motorcycle is dependable, which is critical considering the varying conditions bikers and their machines endure. So what would happen if the biggest, baddest biker-man or woman you know found a rat’s nest in their saddle bag when bringing their bike out for spring? I can tell you! My dad is one of the biggest bike enthusiasts I have ever seen, except for maybe my brother. I remember counting 14 motorcycles between them at one point! I was surprised with a dirt bike in my room as a birthday present once, and was equally surprised with my dad and brother’s skill riding it up and down a flight of stairs to get it in and out. They never ceased to amaze me. Maintaining all those motorcycles wasn’t all fun and games though, at times, it seemed downright impossible. Many times, we walked out to the garage expecting to go for an evening ride only to find that the bike we wanted to ride had something wrong with it. I remember a time when my dad wheeled out his prize possession, a Honda GoldWing, to wash it up and take her for a ride. He hollered when he caught sight of a mouse nest in one of his saddle bags. With a mouse nest come droppings, chewed wire, chewed up seats, and all types of damage. Finding your “baby” in worse condition than you left it is never a good thing. My dad now uses Fresh Cab religiously to protect his bike year round. He has not had an incident with rodents since, and was lucky to find the damage to his wires before he got on the road. Maintaining a motorcycle is just like maintaining a car, especially if it is your primary or only vehicle. If you live any place with a cooler climate where motorcycles hibernate half the year, don’t get fooled into thinking maintenance only needs to be performed when your bike is out and in use. Finding a rodent problem when a bike comes out of storage in the spring is no way to start the season! I heard of a story where a biker went to start up his “beast” for the first ride of the year and a mouse flew right out his tail pipe! Needless to say, he got a lot of guff for not starting it up more often. Chew or scratch marks in your leather. An obvious sign of rodents, they most likely will use the leather to make their nests. Nests. 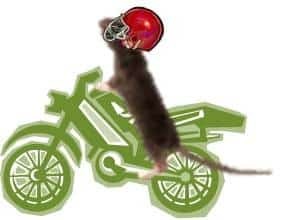 The most common places for mice to nest on your bike are in your saddlebags, on your seat, or in between your handlebars. If you find a nest it needs to be disposed of quickly. 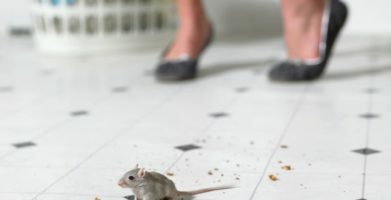 Mice and rats carry diseases that can potentially be harmful to humans and pets. Droppings. Look on the floor around the motorcycle, along the walls, and in corners. Mice travel along walls to feel where they are and always use the same pathways because their eyesight is poor. Worrying about your bike while it is in storage may be unavoidable, but as long as you use Fresh Cab, you can be confident mice will avoid your bike. Plus I store my bike outside. What is fresh cab? And where can you get it? How do you use it? Fresh Cab is a botanical rodent repellent that uses a specially formulated fragrance to repel rats and mice. Rodents use their sense of smell to navigate, find food and detect danger. Fresh Cab overwhelms their little noses, making them avoid areas treated with Fresh Cab. It comes in the form of a pouch. All you have to do is remove the plastic wrap and place the pouches in places that need protection from rodents. If you store your bike outside, the scent of the pouches may wear off quickly (they were designed for use in enclosed spaces like garages, etc…). Fresh Cab may still help protect your bike, but you will need to examine the surrounding area to see what may be attracting them in the first place. Please feel free to call (800)583-2921 M-F 8-4:30 EST or email customercare@earthkind.com for more information. As all motorcycle enthusiasts know, maintenance is the key to survival on the wide open road. Bikers fearlessly brave the elements and can be seen out in rain storms, snow storms, and even hail! A well-maintained motorcycle is dependable, which is critical considering the varying conditions bikers and their machines endure. So what would happen if the biggest, baddest biker-man or woman you know found a rat's nest in their saddle bag when bringing their bike out for spring? I can tell you! My dad is one of the biggest bike enthusiasts I have ever seen, except for maybe my brother. I remember counting 14 motorcycles between them at one point! I was surprised with a dirt bike in my room as a birthday present once, and was equally surprised with my dad and brother's skill riding it up and down a flight of stairs to get it in and out. They never ceased to amaze me. Maintaining all those motorcycles wasn't all fun and games though, at times, it seemed downright impossible. Many times, we walked out to the garage expecting to go for an evening ride only to find that the bike we wanted to ride had something wrong with it. I remember a time when my dad wheeled out his prize possession, a Honda GoldWing, to wash it up and take her for a ride. He hollered when he caught sight of a mouse nest in one of his saddle bags. With a mouse nest come droppings, chewed wire, chewed up seats, and all types of damage. Finding your "baby" in worse condition than you left it is never a good thing. My dad now uses Fresh Cab religiously to protect his bike year round. He has not had an incident with rodents since, and was lucky to find the damage to his wires before he got on the road. Maintaining a motorcycle is just like maintaining a car, especially if it is your primary or only vehicle. If you live any place with a cooler climate where motorcycles hibernate half the year, don't get fooled into thinking maintenance only needs to be  performed when your bike is out and in use. Finding a rodent problem when a bike comes out of storage in the spring is no way to start the season! I heard of a story where a biker went to start up his “beast” for the first ride of the year and a mouse flew right out his tail pipe! Needless to say, he got a lot of guff for not starting it up more often. Chew or scratch marks in your leather. An obvious sign of rodents, they most likely will use the leather to make their nests. Nests. The most common places for mice to nest on your bike are in your saddlebags, on your seat, or in between your handlebars. If you find a nest it needs to be disposed of quickly. 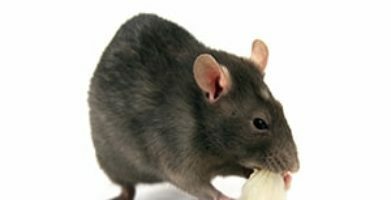 Mice and rats carry diseases that can potentially be harmful to humans and pets. Droppings. Look on the floor around the motorcycle, along the walls, and in corners. 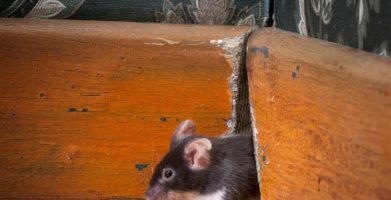 Mice travel along walls to feel where they are and always use the same pathways because their eyesight is poor. string(23) "How To Avoid Biker Mice"